The Dietrich College of Humanities and Social Sciences community came together last week for Dietrich Day, an annual event for faculty, staff and students. 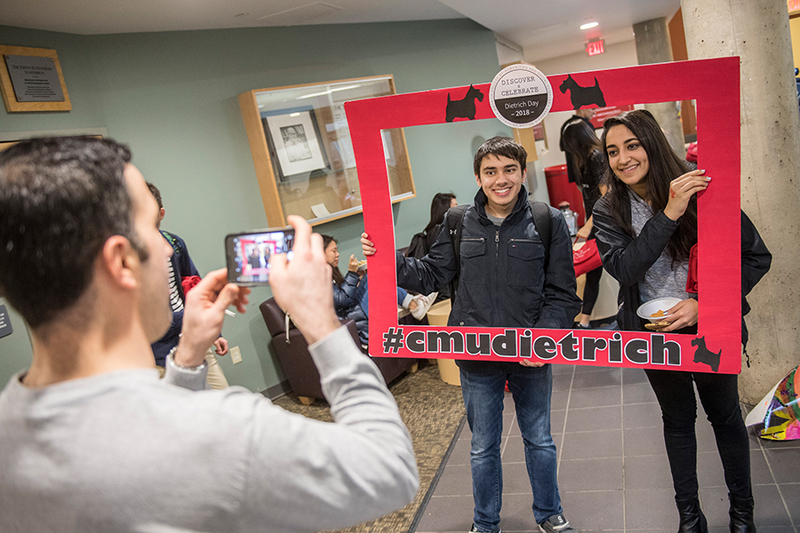 In the main entrance of Baker Hall, attendees had tested their trivia knowledge about the Dietrich College to win prizes ranging from Pittsburgh Zoo tickets to Carnegie Mellon University swag. The Baker Hall Coffee Lounge featured a nacho bar and varieties of desserts as well as a cotton candy machine. Outside on the CFA lawn, an inflatable obstacle course and oversized lawn games were set-up.